Amazon.com Price: $70.99 $52.11 (as of 20/04/2019 23:25 PST- Details)	& FREE Shipping. Using real-world cases, this clinical guide details the psychosocial challenges faced by patients navigating the world of medically assisted reproduction (MAR). It describes in depth the latest perspectives on counseling approaches to the evolving complexities of family creation, whether fertility issues are a presenting problem or occur during the course of therapy or the aftermath of a struggle with infertility. Applying an evidence-based, cross-border approach, international experts not only discuss advanced perspectives on topics such as third party reproduction, pregnancy loss and adoption, but also newer issues of fertility preservation, “older” patient parenthood, GLBT and singles’ family creation. 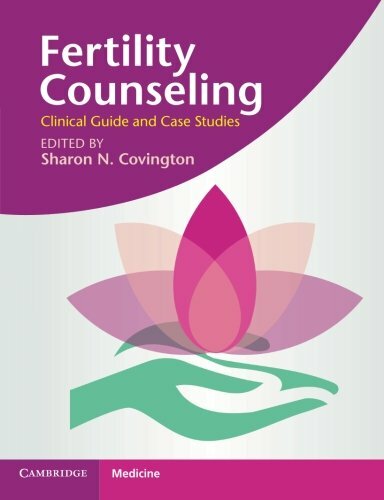 A comprehensive resource, it explores pioneering insights into fertility counseling such as spirituality, developing disclosure language, a counselor’s personal fertility issues, and more. This is an essential aid for medical and mental health professionals to develop and refine the skills needed to treat the increasingly diverse and complex needs of MAR patients.